Judo is a Japanese martial art that involves throwing and ground control techniques. In children's Judo the ground control techniques are limited to hold downs but over the age of 16 Judo includes arm locks, chokes and strangles. Judo is practiced as a self defence system and as a sport. It is an Olympic sport and is regulated by one international body. It was the third largest participant sport at 2012 London Olympics and is played around the world. What will my my child get out of doing Judo? The most important thing that Judo gives a child is self-confidence. Open a world of opportunity to them. Judo is played in almost every country on the planet. It is an Olympic sport. When you join Big Judo you become part of Judo's international extended family and where ever your child travels later in life there will be Judo people with whom they will share a common bond. Judo is a contact sport so there is an element of risk. This said Judo has very low injury rates. This is because all Judo 'players' are taught break falls to protect themselves from injury. Judo was developed by a physical education teacher called Jigaro Kano in the late 19th century and he was careful to ensure that any very dangerous techniques were excluded. A couple of Big Judo youngsters wrestling on their knees. We start teaching them to grapple on their knees then build up to fighting standing. Judo is also very well regulated. Judo is centrally regulated at international, national and local levels. Grading in Judo is tightly controlled and only people recognised by their area associations as qualified instructors can register Judo clubs. This means that classes run by a registered club are likely to be run in accordance with international best practice. When you first come to training we suggest a rugby jersey and track pants. No jewellery. If you decide to continue with Judo you will need to invest in a 'Judogi' or Judo suit. Kids suits cost about $ 80-100 new and adult suits cost $ 140 - 400 depending on quality. How is Judo different to other martial arts? Judo is different to most martial arts because from their first day 'on the mat' Judo 'players' are wrestling and grappling with other players. They are learning how to fall, how to break an opponent's balance and how to protect themselves.This means that children quickly become accustomed to physical contact and the fear of physical confrontation diminishes. The intense physicality of Judo also means that Judo 'players' develop a strong sense discipline and respect. Judo players tend to be confident people. 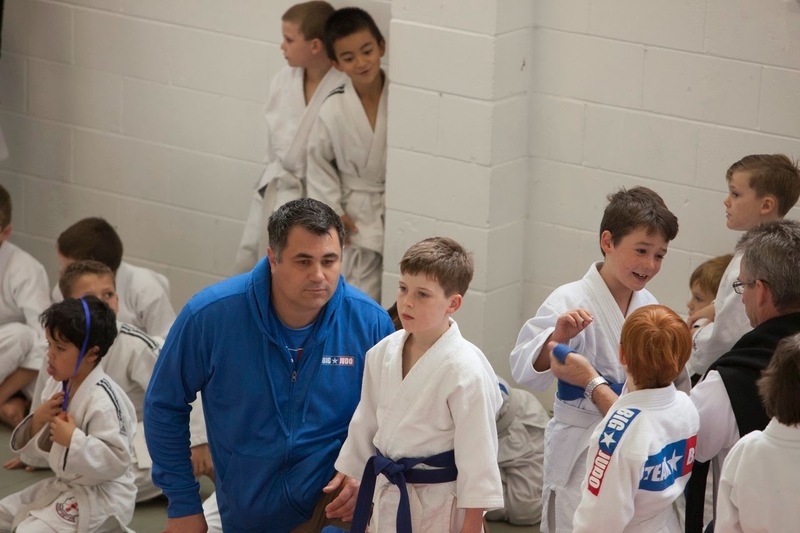 At Big Judo we are committed to developing a supportive, family-friendly environment. We encourage parents to stay and watch their kids and are tolerant of younger brothers and sisters. Most of us are parents and we understand the pressures and difficulties associated with family life. Judo is a very large and well-regulated martial art. We are all committed to setting high standards of behaviour within our organisation and we take pride in our clubs and players behaving in ways that encourage family participation. What opportunities does Judo open up for players? Judo is one of the most widespread and largest sports in the world. You find Judo clubs in just about every country in the world and in terms of participant numbers Judo is one of the 'biggest' sports at the Olympics. In New Zealand we have lots of well-organised kids and adult competitions. Ranging from fun social tournaments to regional, island and national competitions. A photo of the kids competing in a small local tournament (the Howick Judo Academy Fun Day 2013) lined up for a pre-competition brief. At this contest there were three mat areas and a couple of hundred kids from across Auckland competed. 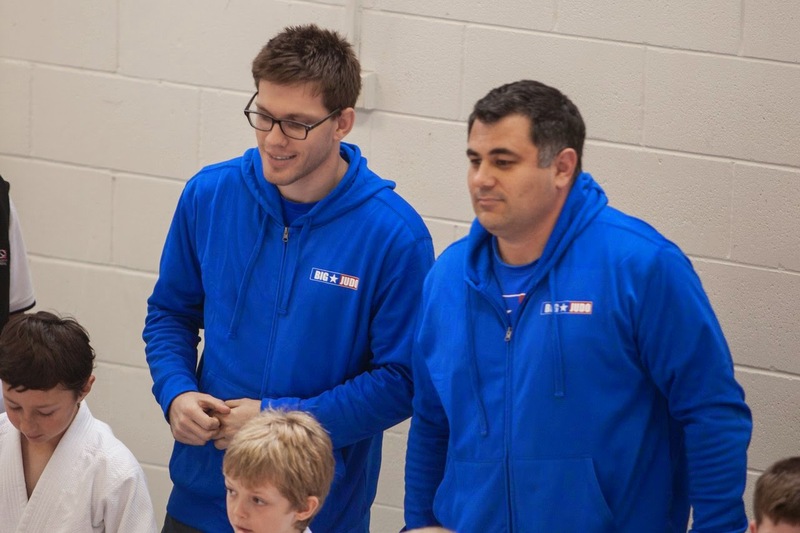 Ben and Jordan on the side coaching the kids. A big part of our philosophy is supporting our young players. If your child is talented and sticks with their training there are great opportunities to represent New Zealand at international tournaments. So far our best placed Olympians have not won medals but we compete strongly at the Commonwealth Games and New Zealand has a number of medals at this level. New Zealand competitors also compete in international tournaments that allow overseas entries and many New Zealanders have competed in Europe, Asia and the United States. 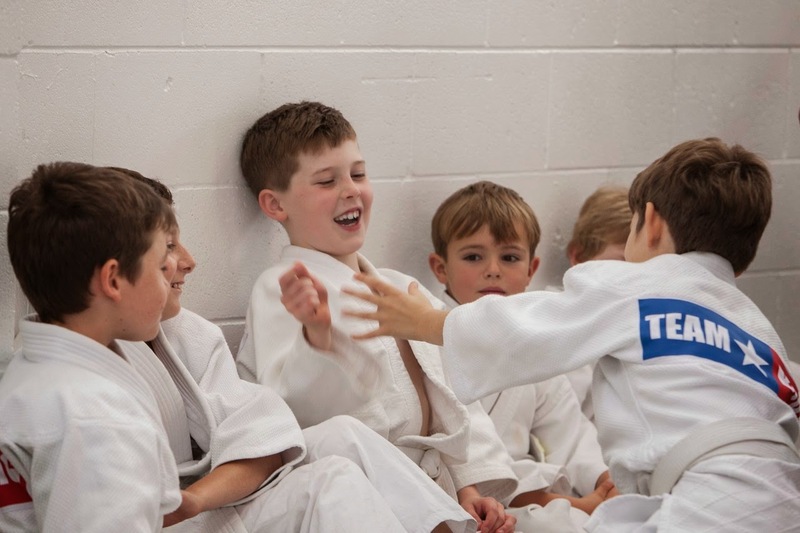 Being involved in Judo is a great opportunity to meet new friends and for kids to be part of a truly international martial arts community and participate in an Olympic sport. Even if they are not successful international competitors Judo 'opens doors' around the world for participants and provides a truly international social network. A big part of Judo's 'culture' is that we look after each other. Judo players are generally welcomed and offered training and social opportunities in most places they visit. Judo has little of the parochialism that 'dogs' some other martial arts. Everywhere you go, anywhere in the world Judo is Judo and we all train and compete together. How is Judo different from Brazilian Jiu Jitsu? The martial art most commonly compared with Judo is Brazilian Jiu Jitsu (or BJJ). BJJ and Judo are both grappling styles of martial art and share many similar techniques and a common heritage. BJJ is similar to Judo in that players are 'on the mat' from day one and it is practised as physically as Judo. BJJ contest rules allow more time fighting on the ground so BJJ ground fighting techniques are more developed and focus on subtlety and overall control. Judo ground techniques tend to be simpler, more direct and more aggressive. In reality the two styles complement each other very well. A good analysis of the strengths and weaknesses of the two styles is provided in Guerrilla Jiu Jitsu by Dave Camarillo. As Dave Camarillo states '...each discipline has evolved in accordance with its rules. Judo is more technical on grip fighting and throws Judo players develop speed and strength. Jiu Jitsu is far more technical on the ground. If you combine the two you plug holes in each"
At Big Judo we agree with Dave Camarillo's statement. We have close links with the BJJ community and work hard to encourage a training atmosphere that allows experimentation and cross-pollination because our aim is producing great fighters rather than dogmatically defending the positives of one or other style.